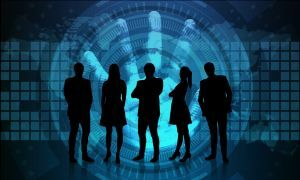 Establish basic information security practices with employees, from requiring strong passwords and appropriate internet usage to how to protect customer information and other sensitive information. Maintain the latest security software, web browser, and operating system to guard against viruses and malware. Install key software updates when they are available, and set antivirus scans to run after each update. Protecting your internet connection is critical. Ensure the operating system’s firewall is enabled. For remote workers, ensure that their home system(s) are protected by a firewall. Require employees to password protect their mobile devices, encrypt data, and install security apps to safeguard information while the mobile device is on public networks. Ensure procedures are in place should a mobile device be lost or stolen. Ensure a plan is in place to regularly backup data offsite or in the cloud. Word processing documents, spreadsheets, databases, human resource documents, and accounting files are all highly sensitive and should be backed up automatically if possible. Ensure laptops and mobile devices are physically secure to prevent theft. All employees should have separate user accounts with strong passwords. Administrative privileges should be limited to IT personnel or other key staff. Secure, encrypt, and hide your WiFi network. Password protect access to your router, and ensure it does not broadcast your network name (SSID). Isolate payment systems from other programs which may not be as secure. The computer you use to process payments should different than the one you use to search the internet. Avoid providing one employee with access to all data systems. Employees should only be given access to specific systems to perform their jobs. Require employees to use unique passwords that are changed every three months. Implement multifactor authentication to further safeguard accounts.